Despite our best intentions, self-esteem issues arise in almost all of us. Why? It’s not for lack of trying. Many of us offer endless streams of encouraging words to our kids. We pretty much hand out awards for everything from potty training to putting away their crayons to not skipping class in high school. We enroll them in non-competitive sports where every one’s a winner no matter how many goals get scored. (I tried to coach that kind of team once when my youngest son was six. Let’s just say my purpose on earth likely has little to do with coaching non-competitive sports.) 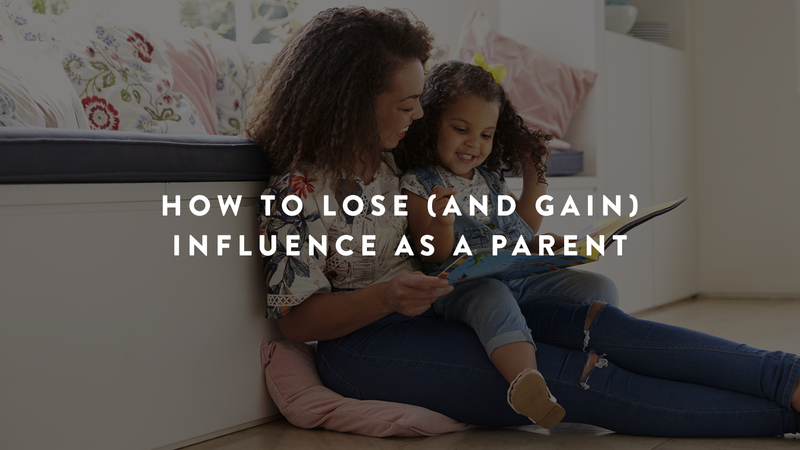 In some circles, everything we tell our kids is designed to encourage them, even when maybe they shouldn’t be encouraged. But self-esteem continues to be evasive, with a generation or two of kids who vacillate between unrealistically high view of themselves and a crushingly low self-esteem. Sometimes in the same child. Sometimes in the same child on the same day. I want to make a strange connection: What if self-control and self-esteem are linked? What if the child who develops self-control also ends up developing self-respect? Prioritize devotional time with God. Treat people with kindness, even when I feel like doing otherwise. Show up prepared and on time. Take responsibility rather than blame others. What links every single one of these things is a very difficult-to-master virtue: self-control. When I practice self-control in all areas of my life (resisting impulses, making myself do things I don’t want to do, prioritizing my time and energy), my self-respect grows. By contrast, when I fail in areas like this, my self-respect and self-esteem suffers; I can get into an endless stream of self-defeating talk that’s hard to get out of. Until I practice more self-control. See the link? Self-control and self-respect are perhaps a little more tied together than we might initially think. As a result, if you want to grow a healthy self-esteem in your child, you might want to help them develop a healthy sense of self-control. Which is one of the reasons why what we’re talking about this month is so important. And why things like doing homework, helping out around the house, not acting on every impulse, or indulging every whim is an important part of every child and teen’s development. Ironically, one of the best ways to develop self-esteem might not be to try to directly instill self-esteem at all, but instead to work on self-control. Better self-esteem, surprisingly, may follow.